Brighouse v Altofts. Jay Mistry. It was a miserable day for Calderdale teams playing in regional leagues with table toppers Walsden and Northowram Fields among a string of teams beaten. Pennine League leaders Walsden had a nightmare first trip to Austerlands, ahead of today’s Wood Cup final away to Rochdale. James Rawlinson’s side were dismissed for 71 in reply to the home team’s 164. Northowram Fields batted badly again and this time paid the price at Azaad in the Bradford League’s Conference. They dismissed their hosts for 185, Zafar Khan adding another three wickets to his impressive seasonal tally, but the attack lacked his injured opening partner Josh Bennett Keer. Northowram were dismissed for 126. They slipped from 43 without loss to 79 for nine and it was left to last pair Khan (35) and Jonathan Lee (11 no) to salvage a little pride. John Lister’s side lost top spot to Buttershaw St Paul’s, who swept into an eight-point lead and have a game in hand. There were also defeats for Lightcliffe and Brighouse in the Bradford League. Lightcliffe slipped to third from bottom of the Premier when their bowlers struggled in a nine-wicket defeat at second-placed Pudsey St Lawrence. Alex Stead’s men batted first and a solid effort by the top five was led by Suleman Khan (55) and Jonathan Wilson (52no). However, a total of 208 for nine proved inadequate with openers Mark Robertshaw (100 no) and Callam Goldthorp (80) putting on 177 for Saints, who won with 11.3 overs to spare. Brighouse were beaten at home by Altofts in a Championship B match lasting less than 50 overs. The next-to-bottom side were dismissed for 87, with Awaise Hussain hitting 31 before becoming one of five victims for Kiwi Matthew Holstein. Altofts won by eight wickets with Rashid Yousaf making an unbeaten 39. Huddersfield League pair Barkisland and Elland added to the list of locals defeats. Luke Bridges made 47 and Jamie Summerscales 41 but visitors Broad Oak overhauled Barkisland’s 169 with an unbeaten 109 from Jack Hargreaves to win by six wickets. Elland lost by nine wickets at Golcar, where the efforts of Robin Broom (40) and Alastair Finn (35 no) in helping them to 164 proved in vain. Long-serving overseas player Steve Whitwam hit 78 not out in a nine wicket home success. A disappointing 24 hours for Todmorden was completed by a five-wicket Lancashire League defeat at Lowerhouse. Andrew Sutcliffe’s men had lost at home to Church in Friday’s T20 final and their 162 all out away to the third-place team was inadequate. Opener Simon Newbitt made 63 and number 10 Graham Lalor 22 but Paddy Martin took six for 55, pro Ashton Turner being stumped off him for a duck. 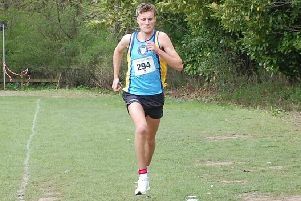 Sixteen-year-old opener Joe Halstead hit 54 in the successful home reply, an unbroken stand of 49 settling matters after the top five had departed. Illingworth were outplayed by top of the table visitors Colton in their Aire/Wharfe League Division Two clash. With second leading run scorer Matthew Smith missing for the rest of the season, Illingworth’s top order struggled against the bowling of Andrew Scholes and former Wrenthorpe player Tom Glover as they slumped to 71 for seven inside 20 overs. Jamie Moorhouse (57 no) then batted well with the tail as a further 81 runs were added but three Colton batsmen scored 40-plus as a target of 153 was reached for the loss of only two wickets.